Although Mark Zuckerberg is testifying before US Congress to answer questions about the Cambridge Analytica scandal and Russian election interference, he also found himself addressing a conspiracy theory that has been around for years: does Facebook secretly record people using a device’s microphone for ad targeting purposes? "Yes or no," asked Sen. Gary Peters. "Does Facebook use audio obtained from mobile devices to enrich personal information about users?" "No. Let me be clear on this: You're talking about this conspiracy theory that gets passed around that we listen to what's going on on your microphone and use that for ads," Zuckerberg replied. "We don't do that." The CEO added that Facebook could only record audio as part of a video that’s being filmed and uploaded by users. For many years, some Facebook users claim to have seen ads on the platform related to their recent conversations, leading to the suspicion that the company is surreptitiously listening in on them using a device’s mic. While there are plenty of advertisements on Facebook, conspiracy theorists say these particular ones feature the same obscure, specific products they were just discussing. Last October, Facebook’s president of ads, Rob Goldman, denied the spying allegations. "I run ads product at Facebook. We don't - and have never - used your microphone for ads. Just not true," he tweeted. Even Snopes has debunked the theory, and the Wall Street Journal posted a video last month explaining why people believe it happens. As we’ve been finding out recently, Facebook already knows plenty about its users without having to resort to tactics that could send its employees to jail—and all just to improve its targeted advertising. There are also the technical issues that would make such a practice almost impossible. Facebook may be a privacy nightmare, but it definitely doesn’t record your conversations. All of these assurances need to be verified by independent and federal authorities. Zuk has made far too many promises in the past that never panned out; it's time for our law enforcement to due diligence and check it out. JaredTheDragon, H3llion and ShagnWagn like this. "Don't be silly, we don't record audio from your phone's microphone. We just parse every word you write on Facebook, WhatsApp and Messenger, log every website you go to, create detailed facial-recognition profiles based on every photo and video you upload or is uploaded of you, use geo-location data to map everywhere you go, link that with everyone else near you to map connections, scan your device's address book for more contacts, take the rights of every image and video you upload, and log all your interactions with your mobile phone - regardless of whether it's Facebook related or not. But use your phone's mic? That's just silly..."
wiyosaya, Godel, senketsu and 5 others like this. "There are also the technical issues that would make such a practice almost impossible." Please explain in detail. You know the voice recorder that translate your speech to text in text boxes? This could easily be picking up your conversations and translating them to key words to be harvested for advertising. It really is pretty easy. Not just myself, but several others I have heard obscure advertisements pop up on a conversation they just or recently had. Subjects never spoke of before, and had never typed in a text or anywhere on the phone at all. It's just all too coincidental. treetops and JaredTheDragon like this. Of course they don't directly listed in. The third parties that pay Facebookk are the ones listening in so they can send targeted ads. Zuckerberg is using verbal misdirection to sell the story that they'll "do better". So does Google, although they have opt-out options, specially GPS tracking (it is freaky weird). "We don't - and have never - used your microphone for ads." for me the next question would be, do you use the microphone for any other purpose? Notice they didn't offer "We will never"... then probably sent an email to his inferior to click the Enable button. They do indeed, though it's slightly different - in some ways better, in other ways worse. Google does all those things, plus has the window into your thoughts through your searches. If you've ever Googled a taboo opinion, embarrassing medical condition, or criminal activity, then Google knows about it. This, on top of all the other things listed, is what I see as the more nefarious part of our online, tracked lives. Facebook though still seems more invasive to me. My mental image for Google is the (slightly sinister) personal Genie you have with you to ask anything and give you directions and whatnot. 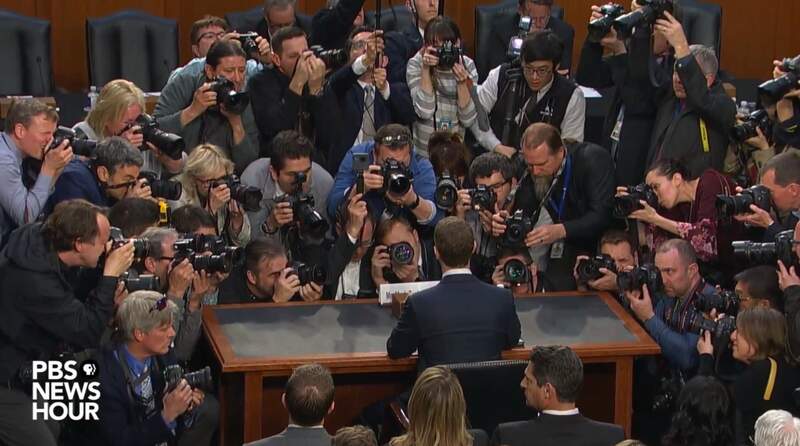 Whereas Facebook is the creepy guy with a huge notepad stood next to you and your friends, writing down every word you say to one another. It's personal taste as to what's worse, I guess. And how many of you are still using Facebook despite all this? I know I still use my acount, and probably always will while I can still use facebook to keep my multiple account passwords safe. If you really want to hurt facebook then join the campaign to delete facebook and close down your account. If their user base falls, they will have no choice but to change their business model. Personally, I have never used fakebook and never will so I do not have the problem. And you might say, "what about the fact that they have tracking on virtually every modern web site?" To which I reply, "uBlock Origin custom *facebook* and *twitter* filters." And you might say, "what about the fact that they have tracking on virtually every modern web site?"